Fmr. Director of National Intelligence James Clapper talked about the 2016 election, Michael Flynn, and his new book about life in intelligence. “I certainly had no intent whatsoever to write a book until what happened in the election viscerally disturbed me,” he told Chuck Todd this week in an in-depth interview for 1947: Meet the Press Podcast. 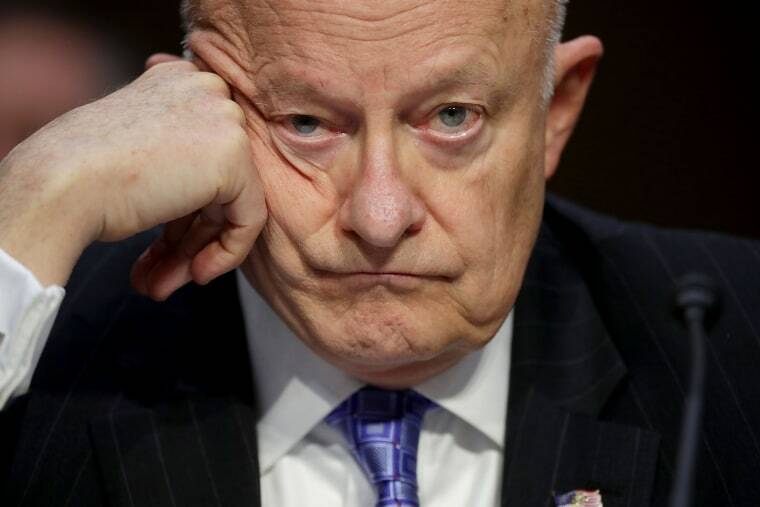 “I’ve seen a lot of bad stuff in 50 years of intelligence, but nothing like this that I think attacked the very pillars of the foundation of this country,” Clapper said. Clapper reaffirmed his evaluation that Russia’s activities tipped the election to Donald Trump. “To me, it just stretches logic and credulity to ignore the elephant in the living room and suggest the Russians didn’t, not only impact the elections, but I think turned it,” he said. He emphasized that the intelligence community had concerns, and was actively receiving intelligence, regarding meetings between the Trump campaign and Russians. “The dashboard warning light was certainly on, simply occasioned by what we did know about the frequency of meetings that various members of the Trump camp, whether in the campaign or out, were having with of all people, our primary adversary, the Russians,” he said. He still won’t say with certainty whether or not he believes the Trump campaign colluded with Russia. He even briefed president-elect Trump once on Russia’s activities before the inauguration. The conversation moved to former national security adviser Michael Flynn, whom Clapper described as “an angry man” following his ouster from the Defense Intelligence Agency in 2014 and decades of military service. “I think the termination ate at him,” he said. After that, Flynn was ready to join with any Republican candidate “as long as he was in a position to criticize the Obama administration,” Clapper said. It is commonplace for government officials to be approached by the GRU, Russia’s military intelligence agency, according to Clapper. He said that GRU officials approached him after his retirement from the agency in 1995, inviting him to their headquarters, and giving him a tour of a Spetsnaz facility. Clapper said he tried to warn Flynn of getting to close with GRU officials. “One time I had a little chat with him, sort of for some fatherly advice, to ‘just be careful,’” he said. But Flynn, Clapper said, “may have succumbed” to GRU influence, leading to his appearance at the same table as Russian President Vladimir Putin at RT’s anniversary dinner in 2015. Todd also asked Clapper about deep concerns he expressed in the final chapter of “Facts and Fears” for America’s future. “We’re a fork in the road. What fork are you worried that we may take?” Todd asked. “I don’t know,” Clapper said.